So far intense has created 65 blog entries. On January 22, 2019 UCLL has organized Fresh Start Demoday and INtense cases event where they presented Intense cases. More information about the program can be found here. 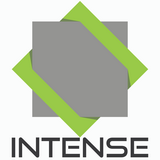 Member of CEU Madrid, the university which recently joined project Intense published a newsletter about project Intense in which they presented information about the project and future activities. The newsletter can be found at the following link (only in Spanish). The twelfth newsletter with the news from project Intense has just arrived. You can find it here. Start the new year inspired and enterprising on the 15th of January! On December 14, 2018, Mirna Leko Šimić (member of EFOS team) made a presentation about project Intense during the regional interdepartmental meeting which was held at Faculty of Economics in Zagreb.